If you are involved with any social network sites at all then you would of put your profile pictures online. But is it really doing you justice? Whether its for dating or employment or just for chats, your picture is the first thing that captures the eye. I found this good article from http://analoguechic.com that offers some good advice. Take a look at these perfectly good looking people that have posted their pictures on professional sites. They do NOT look comfortable or attractive. Your online profile photo is worth a thousand words. Think about it. It could be the deal maker (or breaker) for a full time job, a freelance gig, or a wealthy wife or husband! I will now attempt to explain how to take your profile photo from “floating head” or “mug shot” to a money-making headshot. I’m going to spotlight this particular group of people first, because they are professionals and they should know better. They’re all professional bloggers and social media marketing demi-gods. First, we have a webcam shot, complete with blue glow and lack of eye contact between the subject and the viewer (to clarify photospeak: the subject is the person in the picture; the viewer is the person looking at the picture). And about 75% of the picture consists of the walls and ceiling behind the subject. If you want to take the stress out of having a good Portrait Photograph taken you really should speak with London Photographer David Stubbs. My experience in taking profile pictures ensures a smooth and happy service, giving you exactly what you want. Call me for an informal, get to know you chat on 07976 237 673 today. Alternatively, complete my contact form now. “Most men who sign up to dating sites wind up flushing the money they were charged for membership right down the toilet. That sounds harsh, but life is sometimes harsh. Our “high level” contacts in the online dating industry have spent, perhaps, millions of dollars over the years trying to get to the bottom of the issue. It turns out to be fairly simple and boils down to just two fundamental failures on the part of men. (Incidentally, this advice is not only for men, but we’ll cover the dynamics behind the cause of online dating failures for women in a separate post). A good start is to contact london professional photographers. Both reasons for the failure have a deeper “root” cause we should talk about first. It will come as no surprise when I mention it because it is the root cause of oh-so-many things that don’t work out well for us. The root cause for failure to get attention online is simply not taking this online dating business seriously and making a half-assed attempt at it. Notice that I did not say that the root cause was that the men who don’t have success online were somewhere on the left of “3″ on the physical beauty side of the universal beauty scale. It has nothing to do with that because there are as many “2′s” out there looking for “2′s” as there are “10′s” looking for “10′s”. Fail with either of them, and no matter what screen name you choose, women who view your profile (either on searches or in response to your first email) will append the prefix (or suffix, depending where it fits best grammatically…) “FLAKE” to your name and move on. This is not hypothetical. That is precisely what they will do — each and every one of them each and every time. And because you won’t want to blame yourself for the failure, you’ll blame the site, you’ll blame the women you wrote to, you’ll blame your brother for talking you into joining the site to begin with; you’ll blame anyone else but yourself for taking a flake’s, half-assed approach to an effort that takes some thought, money and work to work and to not come off like flake. Does that sound harsh? Did I say life was harsh sometimes? Has anyone else told you this stuff before? No? They just let you stumble along with no results? Now that’s harsh! To fix the first manifestation, spend some time really working on your written profile. If you don’t know how to write a good and compelling profile, hire someone to help you write it. There are many dating coaches and profile writers out there just waiting for your call or email. To fix the second issue, ahem, schedule a photo shoot with us. It’s the absolute easiest way to get great online dating photos and is best money you’ll ever spend. That sounds like an exaggeration, I know, but those thousands of people who have, and who’ve then had great success finding a date, or perhaps something more serious, might just agree with me. If you want to take the stress out of a portrait photos you really should speak with London photographer David Stubbs. My London photography experience ensures a smooth and happy photography service, giving you exactly what you want. Call me for an informal, get to know you chat on 07976 237 673 today. Alternatively, complete my contact form now. Wedding couples are bombarded with different advice on what to look for in a wedding photographer so I’ve complied a few more thoughts on the matter. I’ve taken wedding photographs for nearly 20 years now , covering hundreds of weddings, so I know what works and what doesn’t. Think about the style of photographs you want. Whether you’re after traditional posed pictures or a fluid, reportage style, you want to ensure the person you choose is professional, proficient and perfect for you. You can find photographers through personal recommendations, wedding fairs, and wedding venues. I’m a recommended photographer for Richmond Registry Office and Orleans House for instance. 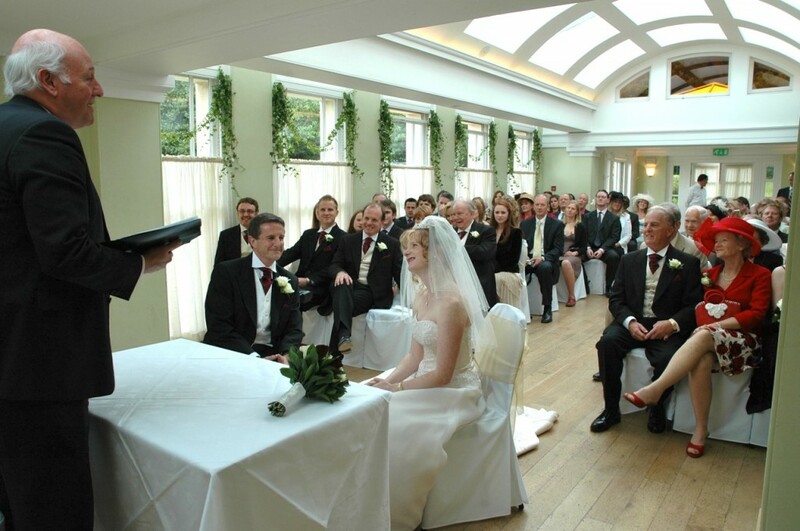 I have taken many stylish weddings at The Bingham, The Richmond Hill Hotel and The Richmond Gate. These are just fantastic venues as the spectacular views from Richmond Hill are just minutes away.